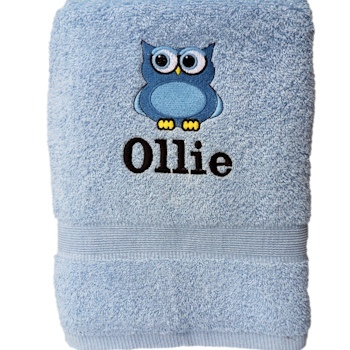 Personalised bath towel featuring an adorable owl motif and your choice of name custom embroidered onto a cotton towel in your choice of colour. Single Bath Towel 75x125cm. Personalised with your choice of text; name, initials or nickname. Enter a thread colour you prefer for the text. Select the letter font style. 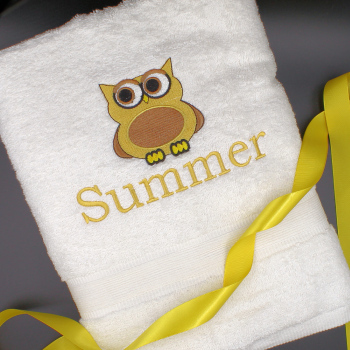 We will embroider the owl motif to coordinate with the text thread colour or towel colour you choose.